The new Fiat Talento van features extraordinary levels of comfort combined with a class-leading load space capacity. There are various combinations of height and length to suit every type of business requirement, as well as a selection of engine capabilities to choose from too. The Anti-locking Brake System (ABS) prevents the wheels from locking and slipping regardless of the road surface conditions. The Electronic Brake-force Distribution (EBD) and the Hydraulic Brake Assist (HBA) make braking quickly safer and easier than ever. In addition to the braking enhancements, there is also the new Electronic Stability Control and Traction+ which provides exceptional grip and stability to guarantee perfect traction and prevent wheel skids. 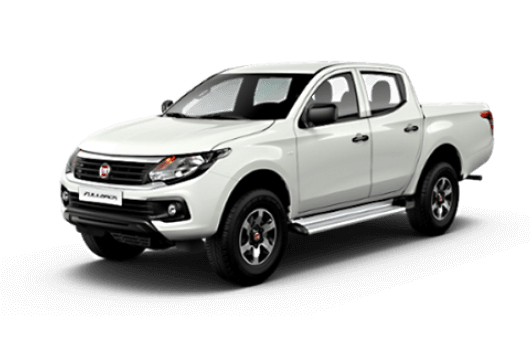 The Trailer Stability Assist system guarantees perfect stability, and the Hill Holder system keeps the vehicle for several seconds without you having to press the brake pedal which is ideal for starting off uphill even when the van is filled to capacity. All of the engine options are diesel 4-cylinder inline types with a displacement of 1598cc, with all of them specifically designed to meet the Euro 6 emissions directive. The Multi Jet 95Hp engine has a 3500rpm maximum with a max torque of 260Nm at 1500rpm. The 120Hp version of the Multi Jet engine has the same rpm power maximum but a significant increase in its maximum torque with 300Nm at 1500rpm. Both the Multi Jet engines feature a common rail injection with variable geometry Turbo. The Eco Jet 125Hp has a max torque of 320Nm at 1500rpm. It also differs from the Multi Jets by having a common rail injection with fixed geometry Twin Turbo. Fiat Talento vans are available at UK Vans Direct with models in the range starting at £12,895.00 plus VAT and road fund licence. There are also various hire purchase deals available starting from £215.78 per month, plus delivery of the vehicle is always free when you buy a van through UK Vans Direct. For more information about the Fiat Talento range, call our team of Fiat van experts on 01709 717200.